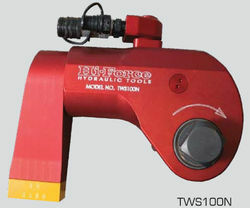 We are a leading Wholesale Trader of hydraulic torque wrench set and mechanical torque wrench from Faridabad, India. We are among the eminent names in the industry for distributing and trading Hydraulic Torque Wrench of LOSOMAT & Hi-Force. Torque Cap. from 180NM to 36000NM. 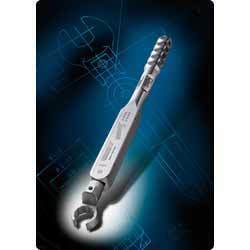 The offered torque wrench is made from high-grade materials and is effective in terms of performance. It is durable, resistant to wear & tear, light weight and provides an Best Torque to Wt. ratio. It is extensively demanded in Cement / Power / Oil Refineries & Heavy Engineering Sector. Multi-position Reaction Foot with Safety loack. Reversible Sq.Drive for Tightening & Loosening applications. Suitable for continuous operation at Max pressure. We are among the recognized names in the industry for distributing and trading Mechanical Torque Wrench to our valued clients. This device is resistant to wear & tear, corrosion and abrasion. It is dimensionally accurate, seamless in terms of finish and ensures hassle-free performance. Having high tensile strength, it is in high demand as well. Looking for Torque Wrench ?